Rosie’s Ballerina Dress is about the progress to make an elegant outfit in Friv4school2017.net. Rosie is known as a fashionista. One day, she runs out of ideas. She needs a helping hand. You design an imposing dress to add to her latest collection. 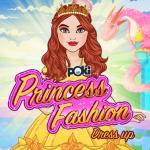 Rosie’s Ballerina Dress game is so lovely on Friv game. 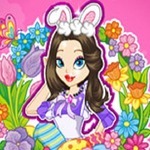 Rosie’s Ballerina Dress online game is a dressing-up game. Rosie is a beautiful girl and she likes making up and getting dressed. She is really fashionable and modish. She always creates trendy collections. She wants to have a new dress. 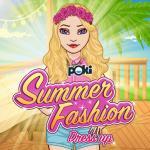 You will help her to create a perfect dress which fits her body at Friv game for free. You are a fashion designer making a dress for her. You see a mannequin in her room. A closet, armchair, and window are behind the mannequin. You will mix items and put them on the plastic model. You must choose three parts of a dress: top, skirt, and belt. Tops include a red off-the-shoulder top, a sleeveless purple top, a dark green tank top, a pink top, a yellow tank top, a floral brown top, and a blue tank top. 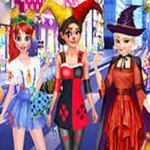 Skirts consist of a blue skirt, a floral green skirt, a floral red skirt, a long blue skirt, a pink skirt, a yellow-blue skirt in Friv game for girls. Choose a gorgeous belt. We have a gold belt, a purple knot, a belt of green flowers, and a belt of pink flowers. Next, you give her a new hairstyle from blond long braided hair, black braided hair, pink short hair, red buns, brown long straight hair, and blond curly hair. Take a handbag. Handbags have various designs and colors on https://friv4school2017.net/girls. 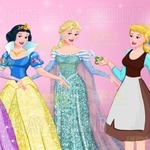 Choose a pair of high heels, a necklace, a pair of earrings, and a tiara or mane. Now Rosie looks striking and she is surprised by her new appearance. Share this game with besties and assess it. Remember to type and leave remarks. 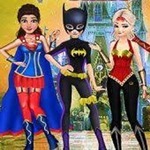 Create new costumes for girl games Ariel’s Mermaid Party and Princess Eye Makeup 2.